The (imminent) 18th Edition changes have set challenges for all parts of the electrical industry. Here, Ian Smith, Marketing Manager at Hager, explains how, like contractors, manufacturers also have to react to a rapidly changing landscape. Change is the only constant: and this has never been more pertinent if the change is being driven by a desire to further improve safety standards, clarify current practices or allow industries to benefit from innovation. This is the case with the 18th Edition of the IET’s Wiring Regulations, which come into full effect from the beginning of 2019. While the intention behind the changes incorporated in the new legislation is highly credible and must be welcomed across an industry where safety should always be the top priority, nonetheless it is also clear that the impact of legislative changes are felt by many. 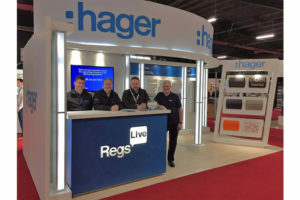 Manufacturers like Hager fully appreciate the task faced by professional electrical contractors and the time and resources they have to invest as they get up to speed with new working practices and fresh responsibilities. Many will have had to combine the process of learning and training with busy work schedules as they try to keep projects on track and customers happy. 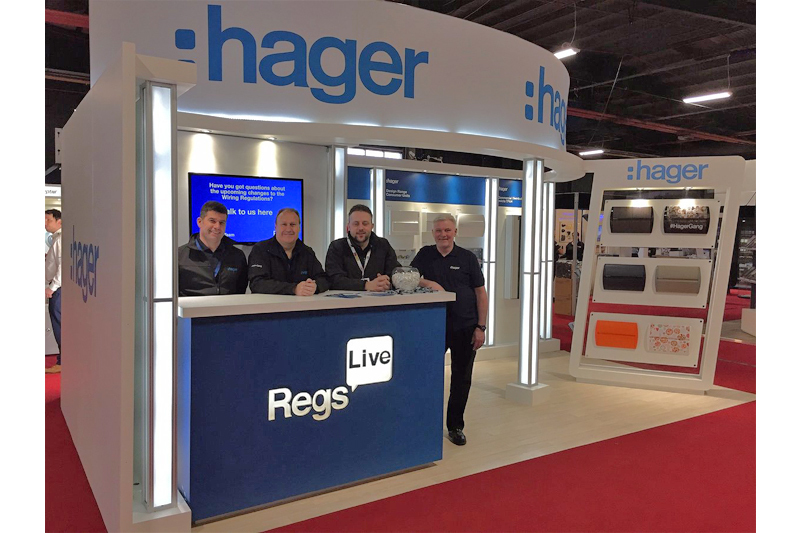 This pressure is also the reason why Hager made the strategic decision to ensure we would help and assist the electrical contracting community by providing access to the knowledge they need, and the solutions they seek in order to comply. The popularity of our industry-first, 18th Edition chatbot, Reg, is a testimony to a real thirst for knowledge out there, and feedback indicates that we have helped many contractors gain an informed understanding of the new changing standards ahead of January. As for manufacturers, we too have had to adapt to the legislative changes and react in a way that ensures a smooth transition to the new standards. 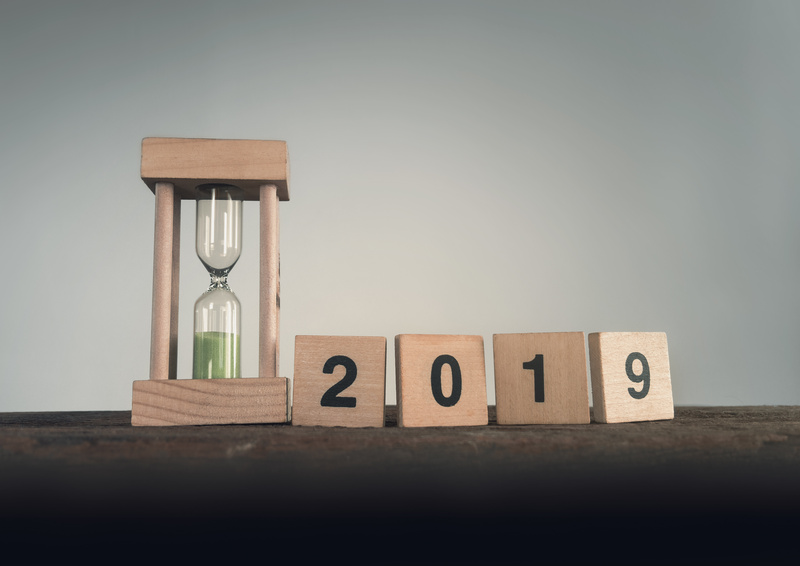 With experiences of a number of regulatory alterations that have occurred in just the past three years, this is a scenario we’re familiar with, but one that doesn’t get any easier each time! The 17th Edition and Amendment 3 revisions were forerunners to the current 18th Edition scenario, and both presented common challenges that have had repercussions for manufacturers as well as contractors. As we know, any proposed rules revisions undergo a significant process of debate, discussion and public consultation – all designed to ensure that the final outcomes and decisions are to the satisfaction of all stakeholders, while still adhering to the overall guiding principle of safety enhancement. With the IET standards panel consisting of a mix of national contractors, manufacturers and regulators – each with their own agendas – it is apparent that several options for potential changes across technical areas can often be on the table at any one time before decisions are arrived at. Manufacturers only get to hear the final conclusions at the same time as everyone else, including contractors. As such, only then are we able to push ahead with compliance plans that touch all parts of the business, from new product development to production and supply chain logistics. It doesn’t make commercial sense to take a risk ahead of time and start work for a potential alteration that may not ultimately be included in the final rules change. A case in point was the example within Amendment 3 and the late requirement that consumer units be housed in non-combustible materials. Overnight this changed the goalposts and plans to utilise plastic had to be replaced with a metal solution and the subsequent upheaval linked to production capability, storage requirements and distribution planning. Along with uncertainty linked to the detail of the rule changes comes the often ambitious timescales by which to comply. With approximately a year to understand the changes to the 18th Edition, plan the company response, instigate design solutions and address production issues – often across multi-location sites – the pressure has certainly been on manufacturers to ensure that once the day of mandatory regulation arrives, we can offer fully compliant solutions. As an industry, we have to react quickly and decisively. Such is the importance of changes to the standards, long-term business development strategies often have to be placed on hold to support efforts across the organisation to meet the short-term requirements of the new legislation. As with the success of the industry’s response to the 17th Edition and Amendment 3, reputable manufacturers will ensure total readiness and support for the sector come January. A combination of targeted investment, in-depth planning and design innovation by manufacturers will provide the right solutions that contractors will be looking for in 2019. This is a testimony to the strength of the UK industry and an ability to respond to the ongoing – and increasingly frequent – legislative changes we’re being presented with. Contrary to a misconception that such changes are driven by the manufacturing community for commercial gain, once the legislators say what they want, it is everyone’s responsibility to make sure that as an industry we all respond accordingly, however difficult or inconvenient. I’m fully confident that the 18th Edition review will follow other recent standard revisions and see the industry come together to exceed all expectations. Reacting to change has been a challenge, but if the ultimate outcome is an even safer industry and working environment for all, then it’s an important one to undertake together.